An earthy flavor is front and center with this new powerful, flexible, responsive WordPress counseling theme. Built to run on the flexible, lightweight, SEO-friendly Genesis framework, this new WordPress theme for therapists is the perfect way to take your practice online. And in addition to a front-end appearance which is memorable, the backend user admin is a snap for you to manage. 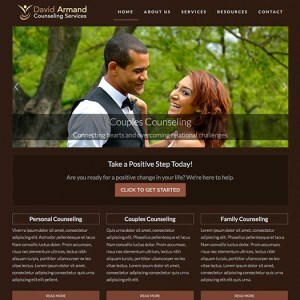 So if you're planning on launching a new counseling website, make it something extraordinary, with this latest in our Counsella series of premium WP themes.